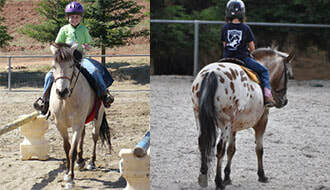 Horse Camp - Equine Unlimited Inc.
​2019 SPRING AND SUMMER NOW OPEN FOR REGISTRATION! 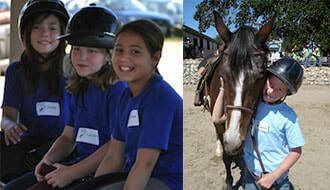 ​Equine Unlimited has been welcoming students from all over the Sacramento, El Dorado and Placer Counties for more than 14 years. Our camp sessions give horse loving boys and girls the opportunity to spend plenty of time with these wonderful animals. 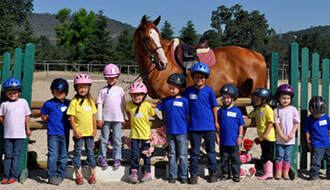 Campers are divided into groups, based on their ability, to provide riders with activities appropriate to their skill levels. 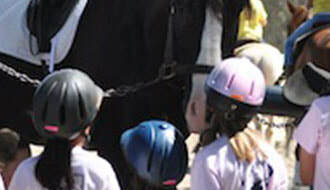 In addition, campers take part in the daily grooming, tacking up and care of the horse or pony assigned to them. 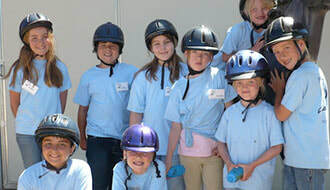 ​Campers also participate in activities that promote good horsemanship as well as crafts and swimming (Summer youth camp only). Sessions may be added depending on demand. ​Are you a returning camper? Check your email for your alumni discount code? Not an alumni but want a discount anyway? Use the promocode EarlyBird and save $25 when you pay full tuition in advance (Spring Camp code expires Feb 15th). 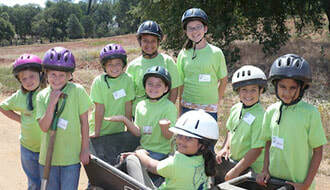 Code is valid for Summer Youth & Kiddie Camp through March 31st. ​*Discounts will be applied before payment is processed and only applies to full pre-payment unless otherwise noted. May not be combined with any other offers. Should you need to transfer to different week, simply let us know. Boots are required!! This is a safety issue, as we don't want your child's foot to slip through the stirrup. You don't need to buy expensive equestrian boots - Most boots work well, as long as they go above the ankle and have a small heel. Please no high-heeled boots or athletic shoes. Please bring a sports bottle with your name on it. We encourage campers to drink a lot of water. Sunscreen, a hat and a pair of sunglasses are always a good idea. Dress in layers, appropriate for the weather (camp happens rain or shine). Label everything with name and phone number for easy return. Thank you to Lee's Feed and Tack Warehouse for offering our riders 10% off on apparel and more. Mention Equine Unlimited when visiting these great tack shops and save! Do you own a business? Are you interested in sponsoring? Contact us!